Have Italy and Austria avoided a crisis? Italian Interior Minister Angelino Alfano has met his counterpart Wolfgang Sobotka in Rome. 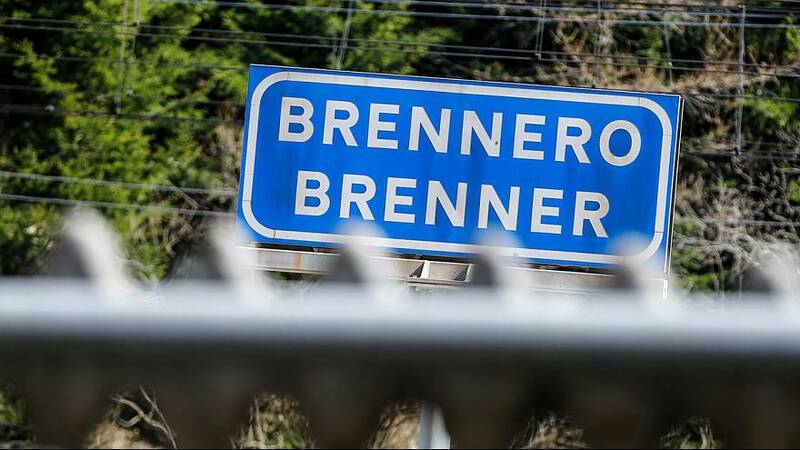 They have reached an agreement to avoid building a physical barrier across the Brenner Pass. The heavily-used route is an important channel for tourists and goods crossing Europe. Two million vehicles pass through each year. Germany is Italy’s biggest trading partner. Transport companies and exporters say delays will make Italian goods less competitive in the important German market. He is referring to plans to build a fence to block migrants from moving up through Italy, on to Austria and beyond. Alfano said Italy refused Vienna’s request to deploy Austrian police on Italian trains heading north. However, Rome has agreed to reinforce patrols on its side of the border on the roads leading to the pass. Will this ease tensions along the border? It is not yet clear. Migrants fleeing war and poverty in the Middle East and Africa are crossing the Mediterranean to Italy in growing numbers. Austria says Italy must stop them travelling on to northern Europe. There have already been clashes between the security forces and rights campaigners. On Wednesday, Austrian police announced plans to set up three checkpoints in the Brenner Pass to block migrants who wanted to pass through from Italy. There was also talk of a 370-metre long border fence being built to discourage arrivals. The Austrian parliament passed tough new asylum laws on the same day. If politicians decide there is a threat to public order, migrants can be turned away at the border within an hour. This was a practical consideration for some. There are fears of a surge of migrants via the central Mediterranean route after the Balkan route was closed down. However, others saw a political motive. A far-right party swept to victory in the first round of Austria’s presidential election last weekend. Angelino Alfano told reporters Italy is working on establishing “the next level” of hotspots for identifying asylum seekers from irregular migrants. “Today we have worked towards saving the right to passage at Brenner and our efforts have been worthwhile. We have sought to clarify things and to avoid a crisis with Austria,” – Angelino Alfano told reporters. “Their organisational structure would centre on making a distinction between asylum seekers and irregular migrants. We have received clear indications from the European Union over its strategy.” – Angelino Alfano says Italy is working on establishing the ‘next level’ of hotspots for processing asylum claims.